It is a method that helps to stimulate the brain into reaching a specific state. 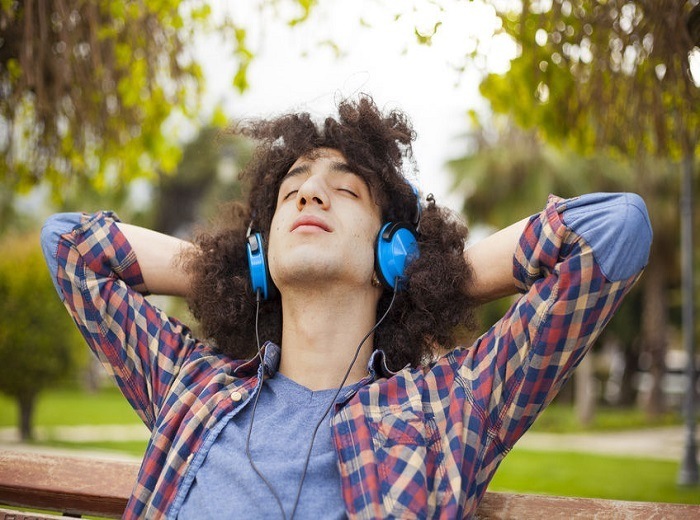 Through the use of music, sounds, and tones, you’re able to use relaxation music to help stimulate the senses and achieve specific and measurable results. Each person responds to brain entrainment in a different way. For some, the results of a chosen program are profound and life-changing. For others, it may be difficult to see any changes occurring, even with consistent use of a program. This is why the best way to explore this method of finding yourself again is to look at the best brain entrainment programs that are available for download and use today. Some may work for you. Some may not. Whatever the case may be, the music offered in these programs is designed to help you relax. If you can make time for relaxation, you’ll be able to reduce your stress levels. In return, you may feel better even if the specific outcomes of a program do not seem to be appearing. Here are some of the best brain entrainment programs that can help you relax and calm down. This is one of the best entrainment programs because it offers listeners every potential option within this field. It creates a foundational meditation program through the use of isochronic tones, biofield entrainment, binaural beats, and relaxing sounds and music. The various sounds then interact with an individual’s brainwaves to create a specific result. For many, it feels like they are able to reach a deep state of meditation that can be obtained almost anywhere. This program offers 430 total minutes of relaxation music and sounds over 19 downloadable tracks or 6 CDs. When used on a regular basis, the potential benefits of this program can be many. It may help those who are just beginning to explore meditation to establish a daily routine. It may help to improve personal focus and performance with professional tasks. It may help to relieve anxiety or stress. Some users of this program report that they have experienced improvements in their symptoms of depression when used in conjunction with a treatment plan initiated by their doctor. Others have stated that they have used this program as a way to enhance their spiritual life. What makes it such a unique system is that it inspires multiple brainwave patterns through one listening session. In the first tier of this program, for example, you will descend from beta brainwaves to delta brainwaves, taking your mind from an awakened state into one that is peaceful and focused. In the second tier, you’re able to enhance your calm thanks to 20 minutes of prolonged delta brainwave activity. Then in the third tier, sub-delta frequencies are offered to experience some of the deepest meditation and relaxation opportunities that are available in brain entrainment programs today. This program is also beneficial because instead of awkward tones or prolonged noises, you receive a series of nature sounds, white noise, and background beats and tones. This makes the program much easier to enjoy on a regular basis. In the BrainEv program, there is a recognition that every state of mind has a unique electrical signature. To focus on these signatures, a process called 3P DEAP has been developed and encompasses six unique levels of brain entrainment. 3P DEAP stands for “3-Point Dynamic Entrainment Audio Process.” It is exclusive to the Brain Evolution System. This allows each person’s brain to enhance multiple brainwave frequencies throughout each listening session and the program itself. Through the use of binaural entrainment, rhythms, and temporal entrainment, relaxation results can often be achieved. Binaural entrainment in this program consists of three distinct paths that are interwoven through six harmonic carrier tones to create a single point of focus. This helps the brain to establish the internal environment that is often needed for meditation and relaxation to begin. Rhythms are then included with the programs to help inspire the brain to follow specific brainwave patterns. Delay effects, panning effects, isochronic tones, and other audio effects are included to work in tandem with the binaural entrainment. Then the temporal entrainment comes into action. Through the compression or stretching of the audio track in specific portions, it allows the brain to experience shifts that allow it to “tune” itself to specific outcomes that the program attempts to achieve. What makes this one of the best brain entrainment programs for download today is its focus on timing. With rhythmic layers in specific intervals, it becomes easier for the brain to recognize and match the frequencies that are being heard. In return, it becomes easier to achieve a state of deep relaxation. 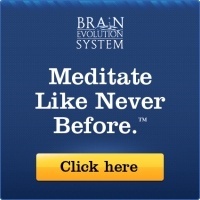 If you want to listen to a free sample of the Brain Evolution System, then click here. This brain entrainment program stands out because of its emphasis on biofield entrainment. Through the use of bass tones, panning, and other audio techniques that are embedded into the program, there is a certain energy that can be felt from the very beginning of the audio track. Others feel a certain pressure on their chest, like they have internal energy that is just waiting to be released. The ways you can feel are many, but the intended outcome remains the same. The goal is to help you find a certain peace because you’re taking the time to focus on a single, multi-dimensional audio experience. This program is also one of the shortest options that is available in brain entrainment and relaxation today. With just over 1 hour of soothing sounds, the time seems to pass quickly if you run this program through your headphones, lean back in your chair, and close your eyes. There are four specific methodologies which are used to create this program. Dual-Pulse Binaural Signals. The use of dual pulses creates unique audio opportunities to generate brainwaves with precision. It is a technology that is based off of waveform generation, but infused into an audio track. Harmonic Box V Signals. This allows the program to create an audio balance, allowing for the entrainment process to have its best chance to create a positive result. Harmonic Layering. This effect helps to multiply the benefits which the various frequencies within the program are able to provide. It allows the brain to easily identify and then match the frequencies to create the desired result. Isochronic Entrainment. This component allows the brain to achieve a single point of focus even with the other sounds, layers, and music that may be playing in the background. With these methodologies, certain audio frequencies can then be used to create the unique biofield entrainment experience that this program is able to provide. The unique feelings that are reported by this program’s users are a result of the brain’s natural recovery efforts being employed. This includes the release of natural painkillers that ease social, physical, and emotional pain. It may also have a powerful effect on social anxiety and other health issues that are directly related to the mind. You can discover more about Audio Serenity here. Many of the best brain entrainment and relaxation programs are designed to create stress relief. This is for a very good reason. More than 75% of people today regularly experience physical symptoms that are directly caused by stressful events. A similar percentage reports that they experience psychological symptoms due to stress as well. 1 out of every 3 people, in fact, feels like they are living with extreme stress right now. Nearly half of all adults feel like the amount of stress that they are experiencing has increased in the past 5 years. Dealing with stress is a good thing. Yet there is also a need to encourage and engage other parts of the mind as well. That is why this is one of the best programs that is available for download today. It offers an opportunity to relax, but it also actively engages the creative centers of the brain. The user gets to choose which benefit they wish to focus upon with each brain entrainment session. You can decide to chill out, provide yourself with a tool that can initiate an intense focus, or use the program to just deeply relax. It’s always up to you. For those in artistic careers, this program can also be a potential creative lifeline. It creates a flow that defeats writer’s block, inspires new artwork, or allows you to express yourself in whatever way seems best at the time. The beats that are within the audio portion of this program are also spaced perfectly for those who like to work out to music or programs. It is soothing enough to be used for relaxing, soft enough to be used for studying, and it can even be played behind many of the other best brain entrainment programs that are available right now. For those who have tried this program or listened to the sample audio tracks available from it, the reports of having balanced concentration levels and added personal peace are numerous. You can find out more about Neuroflow by visiting this link. If you’re a parent, then you know that there can be a need to draw upon your energy reserves at any given time. Even just one child can be a challenge some days. If you have 3, 4, or more children, then there is a good chance that you are supplementing your energy reserves with coffee or other caffeinate products that could be unhealthy. Joseph Kao, who is the creator of this brainwave entrainment program, was in a similar situation. He wanted to find a way to discover and then access his personal energy reserves. Kao also wanted to be able to balance that energy so that he could respond appropriately to the challenges of life that were coming his way as a young father. Profound Renewal was the result. What makes this program unique is the fact that it combines guided meditation with the other trademark advanced sound technologies that are available on entrainment tracks. This adds another component to your ability to relax. There are 11 amazing benefits of guided meditation that can be found by anyone. If you’re the type of person who tends to hang onto the bad things that happen during the day, then this is the first program you should take a look at. When you feel drained, exhausted, and overwhelmed, spending time with this program will help you locate your center once again. It takes just 10-15 minutes of time for this brain entrainment program to work. In return, you can enhance your wellbeing with this small investment into yourself. Part of this program is designed to be used with the user’s eyes open, making it suitable for professional or personal needs. This gives it an additional advantage for parents who may not be able to isolate themselves or close their eyes as they need to keep track of their children. If you’ve always wanted to try meditation and just couldn’t make it work for you, then give this program a try. It has the tools to make your next meditation session more effortless so you can decompress from a stressful day. 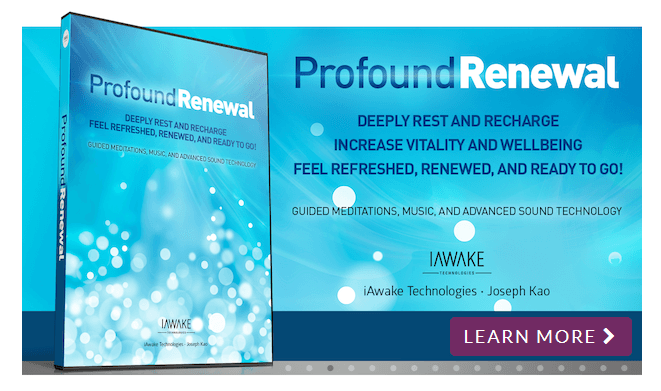 You can discover more information about Profound Renewal through this link. Which Is the Best Brain Entrainment Program for You? These kind of programs are designed to bring you greater peace every day. Each program offers the opportunity to provide specific benefits. Because each brain is wired a little differently, however, you may find some programs may not offer the same results as others are able to provide for you. On a side note, it is also possible to overuse brainwave entrainment programs. Most programs recommend using the audio tracks 4-6 times throughout the week. Otherwise your brain may become accustomed to the audio and resist the effects the program can provide. Remember, it’s always possible to find your inner calm and let your stress go. Peace is achievable by everyone and the programs above can be the tools to help you make that happen.